Priced £249.99, the Speedlite 320EX features a bounce-and-swivel head and has a guide number of 32 (m/ISO 100). Flash coverage can be extended or retracted manually, to cover a 24-50mm focal length range, according to Canon. 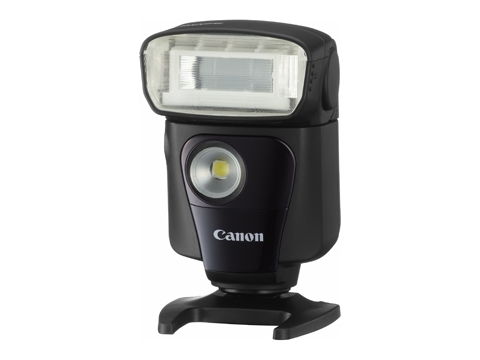 However, in a first for Canon the 320EX also includes an on-board LED Video Light. It automatically switches on or off when using the new EOS 600D or EOS 1100D in movie mode and is designed to enable users to continuously illuminate low-light scenes. Canon UK?s David Parry points out that it could also be used for long exposure stills photography. Both guns also double as a remote control, to fire the camera?s shutter, when used with compatible Canon DSLRs such as the EOS 600D. A spokesman explained: ?Photographers can frame their shot, wirelessly trigger the two-second shutter release timer on the camera body and then reposition the flash anywhere in the scene ? capturing the image as the camera then fires both the flash and shutter release.? This is designed to allow photographers to set up their lighting ?without having to make repeat trips to the camera?, according to Canon. Meanwhile, the 270EX II ? priced £179.99 ? is touted as compact, portable flash to replace the 270EX. It carries a Guide Number of 27 and can also be used as an off-camera slave flash (with remote release). The pair are due on sale at the end of March.